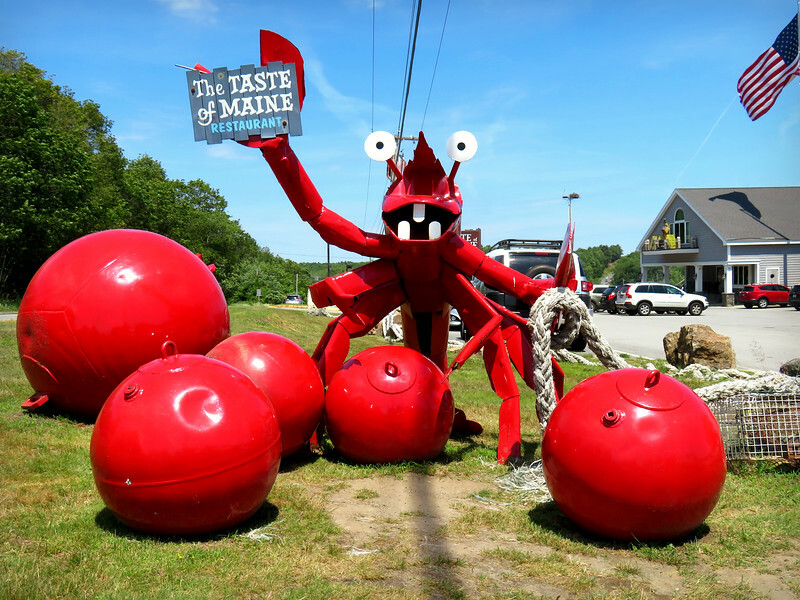 Mainer C. Lobster sits outside of Taste of Maine restaurant in Woolwich, Maine on Route 1. Isn’t he glorious? Having a lobster this excited about well, everything would probably bring a lot of sunshine to your life. I’m a little bummed to discover that I could’ve gone inside and bought a magnet with his mug on it in the restaurant gift shop. First of all… restaurant gift shop? Tres Cracker Barrel. 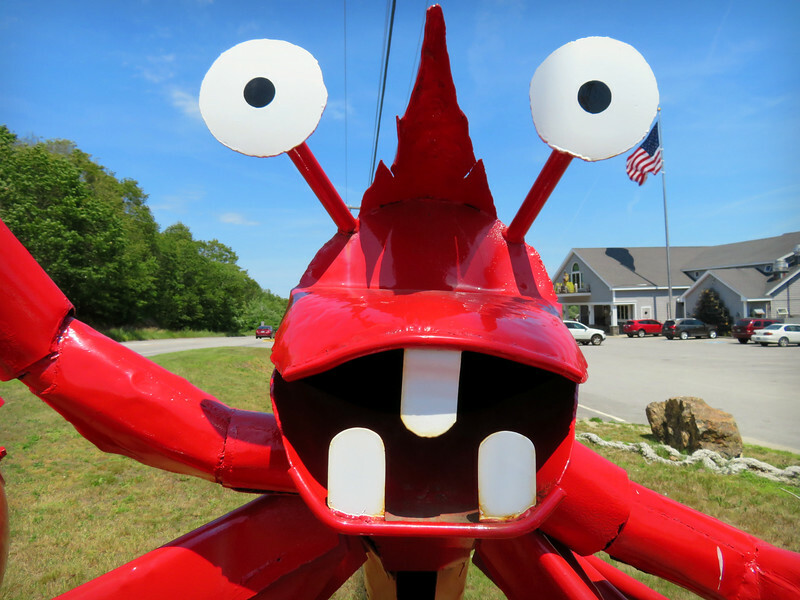 But, I did get to see Mainer with the addition of two new teeth, based on the photos posted on Roadside America. Lose out on a magnet, gain a tooth or two. Seems alright, I guess. What, no pic of the huge roadside lobster trap?? I wish there was a ‘love’ button on WP.